How many times have you heard someone describe moving as stressful, overwhelming, challenging or difficult? These are very common perceptions among buyers. We hear how stressed our clients are on almost a daily basis and we want to help everyone realize that moving does not have to be stressful at all! Let us share the moving tips that we’ve learned from years in the real estate business with you. 1. Budget, budget, budget! Money is one of the top stressors for most adults. The last thing a new home buyer wants to happen is to get hit with an unexpected cost after they’ve just put down a substantial amount of money on the down payment for their new home. Don’t look past the costs that can be associated with moving. There are moving calculators all over the internet, send us a quick e-mail or Facebook message if you’d like us to send you one. 2. Start planning as early as possible for moving day. This tends to sneak up on more people than you would realize! Set realistic packing goals and stick to them. Maybe it’s packing up one room per week, starting to deconstruct furniture that you don’t use daily, or cleaning out your storage areas. These may seem like small tasks today, but you will be extremely thankful that you started early. 3. Make sure you have plenty of packing supplies. Moving takes more than just empty cardboard boxes! You’ll want to make sure you have plastic wrap, bubble wrap, labels and markers that you can clearly read for your boxes, blankets to wrap fragile items in, tape, and other items that can be easily found and purchased. 4. Focus on organization. We recommend using color coded labels or markers so that each box is clearly marked with where it needs to go in your new home. Placing those boxes directly into their corresponding room means you won’t spend time searching through piles of boxes later. 5. Ask for help! This can come from a professional moving company, family members, or friends. Even the biggest of moves can be accomplished efficiently with an extra few sets of hands. This doesn’t even have to be just manual labor, it can be as simple as having someone watch over your children while you’re packing or unpacking. 6. Designate a box to keep all of your important documents. This is where you can place copies of your lease, receipts, bank paperwork, passports, insurance information, phone numbers, etc. You never know when you’ll need to access any one of these items quickly, so having them all in one place will save you the headache of looking all over the place while you’re packing. 7. Have an “unpack first” or “moving day survival kit” and make sure it is clearly labeled and easily accessible! This can include cleaning supplies, toiletries, paper plates and silverware, phone chargers, snacks, water and a first aid kit. 8. Visit your new neighborhood ahead of time. Familiarize yourself early so that you’re not overwhelmed in your new space. Introduce yourself to the neighbors, check out your local restaurants and start learning your new driving routes. 9. 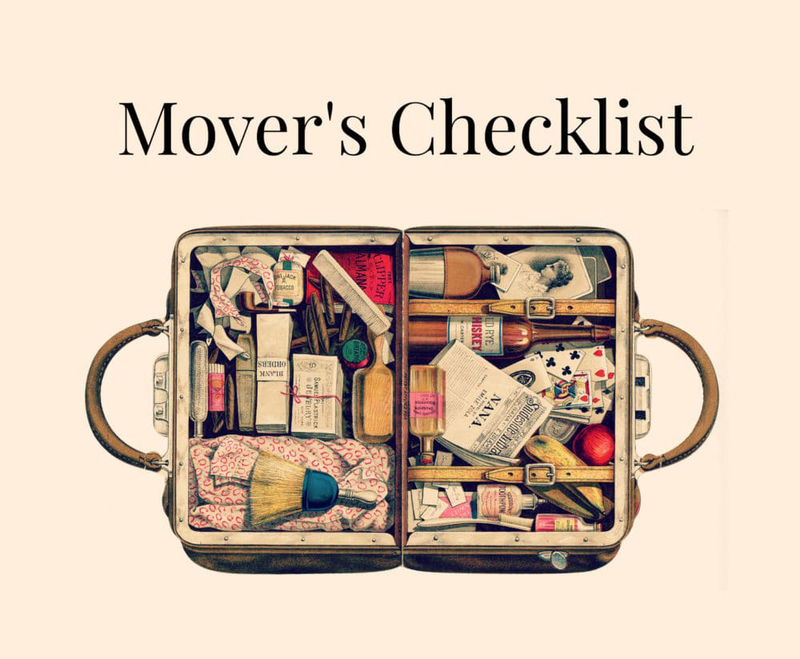 Create a moving checklist. This will help you stay organized leading up to the move. These can also be commonly found online and we’d be happy to help you find one. 10. Be flexible!!! We cannot stress this enough! With so many important parts of the moving process, there are plenty of opportunities for challenges or change of plans. If this happens, try to remain calm and look at the big picture. Maybe you didn’t buy enough bubble wrap or other packing materials. Or maybe the moving company that you hoped to use isn’t available when you need. 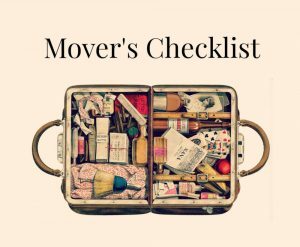 Having other tasks to do or backup options for the major components of the move can alleviate some of the stress of something going wrong. With all of the experience that we have in helping our clients move, we could go on and on with our tricks to help keep stress down during a move. We are more than happy to share our other ideas and look forward to working with you and finding you that perfect new home to be moving into!